Toper student will study for. ‼Students will study the Chinese Language from March to September and start their major from September on Scholarship. The Fees for the Chinese Language will be 5000 RMB which is mandatory. 🔵Rules and regulations for scholarship apply to make sure good study and timely completion of degree of the students. 💰Companies and Agents are welcome to cooperate with FLYUP CONSULTANTS biggest scholarships group. For agents, we have special offers. Sign a contract with us and get an authorization letter and work tension free in the whole world. CIVIL ENGINEERING Scholarships in China For Pakistani Students. Located in Guilin, a world-famous tourist destination and a city rich in Chinese history and culture, the Guilin Electronic Technology University (GUET) is a state university. The university covers an area of approximately 2,756 acres, which is divided into three campuses: the East campus, the West Campus and the Yaoshan campus. The 16 schools and departments of the university offer 39 undergraduate programs, 34 graduate programs and six state-funded programs. Flexible modules are available for full-time and part-time students seeking a certificate, bachelor's or master's degree. Distinguished students in selected fields can enter one of the new practical and rigorous medical programs. GUET enrolls students from all over China as well as students from Hong Kong, Macao and several other foreign countries. Currently there are more than 20,000 students studying at the university. Environmental Engineering Scholarships in China and Equipment, Electronic Engineering Scholarships in China and Automation, Machine Design and Automation, Microelectronics Manufacturing Engineering Scholarships in China, Transport Engineering Scholarships in China, Electronic Information Engineering Scholarships in China, Electronic Science and Technology, Microelectronics, Telecommunication and Information Systems, Automation, Computing and Technology , Educational technology, Information management and information systems, Artistic design, Animation, Industrial design technology, Industrial engineering Scholarships in China, Public affairs management, Marketing, Accounting, E-commerce, Industry and commerce, English, Computer and IT, Science of the Optical Information and Technology, Testing and Control of Technology and Instrumentation, Environmental Engineering Scholarships in China, Information and Electronic Science and Technology, Law, Materials Science and Engineering Scholarships in China. The international student dormitories supply hot water, equipped with washing machines, TV, DVD, telephone, private bathroom, air-conditioner, computer access etc. The single room is 5000 yuan/year/person and double room is 3000 yuan/year/person. The meal costs 20 yuan per person in the student dining hall. There is a clinic, a post office, a supermarket, banks, canteens, sports fields, gyms and other service facilities in the university. Civil engineering Scholarships in China For Pakistani Students is a professional engineering discipline that deals with the design, construction and maintenance of the physical and naturally constructed environment, including works such as roads, bridges, canals, dams and buildings. Civil engineering Scholarships in China For Pakistani Students is traditionally divided into several subdisciplines. It is the second oldest engineering Scholarships in China For Pakistani Students discipline after military engineering,  and is defined to distinguish non-military engineering from military engineering. 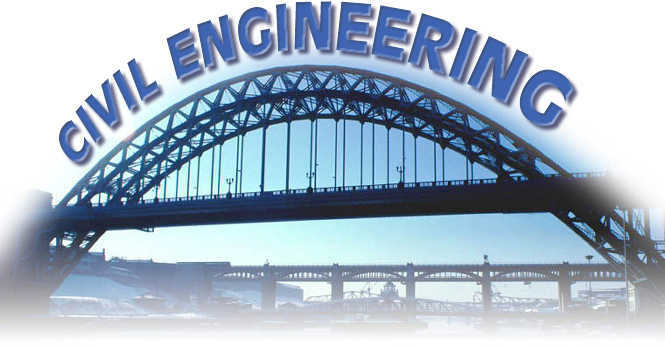 Civil engineering takes place in the public sector, from municipal governments to national governments, and in the private sector, from individual owners to international companies. Engineering Scholarships in China For Pakistani Students has been an aspect of life since the beginning of human existence. The oldest practice of civil engineering Scholarships in China For Pakistani Students may have begun between 4000 and 2000 BC in ancient Egypt, the Indus Valley civilization and Mesopotamia (ancient Iraq) when humans began to abandon a nomadic existence, creating the need to build a refuge. During this time, transportation became increasingly important and led to the development of wheel and navigation. Until modern times there was no clear distinction between civil engineering Scholarships in China For Pakistani Students and architecture, and the term engineer and architect were mainly geographical variations that refer to the same occupation, and which are often used interchangeably. The construction of pyramids in Egypt (circa 2700-2500 BC) were some of the first instances of construction of large structures. Other ancient historical civil engineering Scholarships in China For Pakistani Students constructions include the Qanat water management system (the oldest being more than 3000 years old and more than 71 km, ) the Parthenon of Iktinos in ancient Greece (447-438 BC), the Via Appia of the Roman engineers (c.312 BC), the Great Wall of China by General Meng T'ien under the orders of the Emperor Ch'in Shih Huang Ti (c.220 BC)  and the stupas built in the old Sri Lanka as the Jetavanaramaya and the extensive irrigation works in Anuradhapura. The Romans developed civil structures throughout their empire, including especially aqueducts, insulae, ports, bridges, dams and roads. John Smeaton, the "father of civil engineering Scholarships in China For Pakistani Students "
In the 18th century, the term civil engineering Scholarships in China For Pakistani Students was coined to incorporate everything civil as opposed to military engineering. The first self-proclaimed civil engineer was John Smeaton, who built the Eddystone lighthouse. In 1771, Smeaton and some of his colleagues formed the Smeatonian Society of Civil Engineers, a group of leaders of the profession who met informally during the dinner. Although there was evidence of some technical meetings, it was little more than a social society. the art of directing the great sources of power in nature for the use and convenience of man, as means of production and transit in the states, both for external and internal trade, as applied in the construction of roads, bridges , aqueducts, channels, fluvial navigation and springs for interchange and internal exchange, and in the construction of ports, docks, breakwaters and lighthouses, and in the art of navigation with artificial power for trade, and in the construction and application of machinery , and in the drainage of cities and towns. In the United Kingdom, in the early nineteenth century, the division between civil engineering and military engineering (served by the Royal Military Academy, Woolwich), coupled with the demands of the Industrial Revolution, generated new engineering Scholarships in China For Pakistani Students education initiatives: the Royal Institution Polytechnic was founded in 1838, the Private College for Civil Engineers in Putney was established in 1839, and the first Chair of Engineering in the United Kingdom was established at the University of Glasgow in 1840.